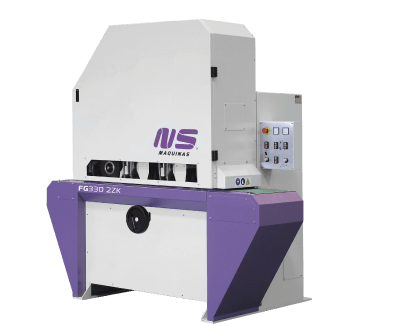 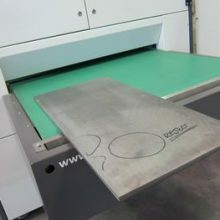 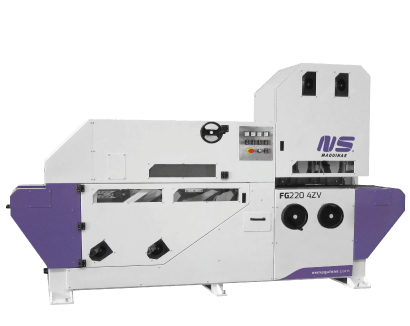 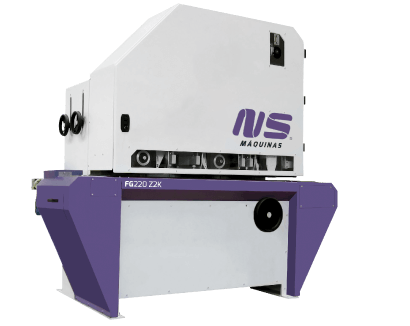 DM660 ZK + DM1100 ZK are metal finishing and brushing machines for sheet metal and parts cut by punching, shearing, laser or other thermal method. 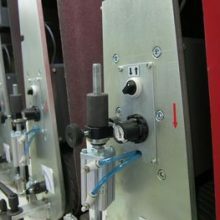 Finishing and brushing with different combinations of abrasive belt heads (Z) and oscillating brushes (K). 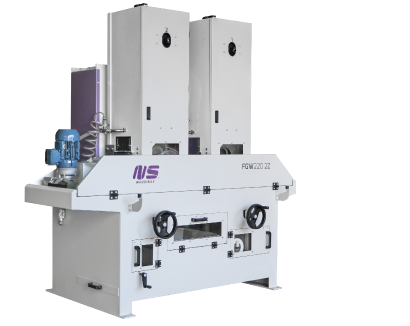 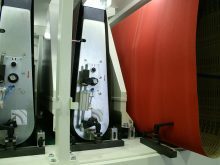 Surface finishing can be done with one, two or even three abrasive belt contact roller heads and brush stations. 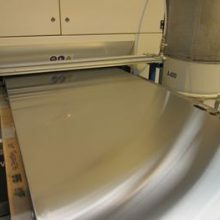 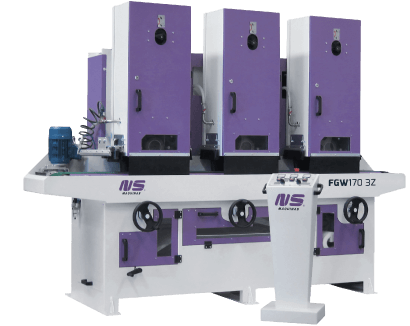 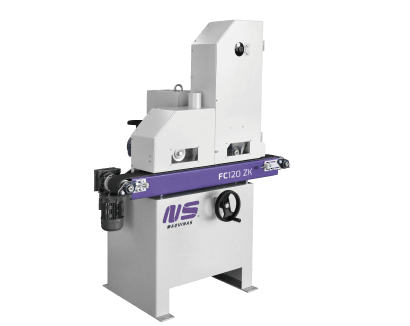 Consistent finishing in small parts or large and long metal sheets. 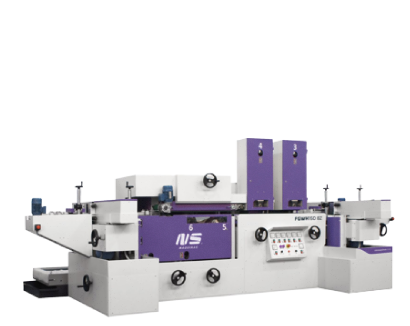 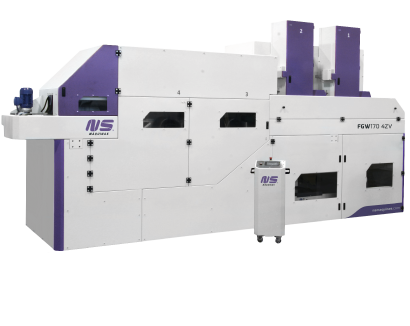 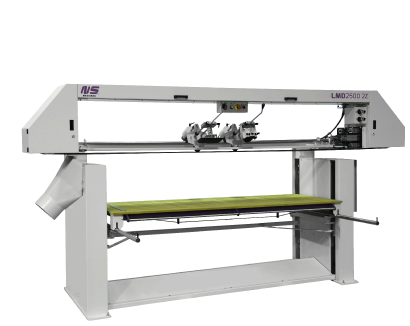 Automatic programs with multiple passes of same panel can be supplied and adjusted to each request. 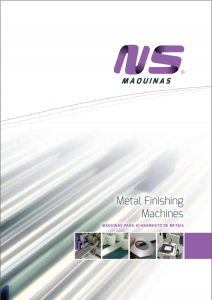 Finishing and removing imperfections of metal sheets or flat components with different combinations of abrasive belt and brush stations. 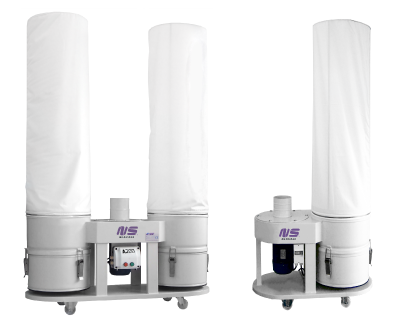 DM machines have a constant working height. 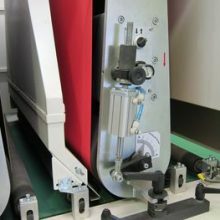 The adjustment for different thicknesses is made by the movement of the abrasive stations, keeping the conveyor belt always at the same level. 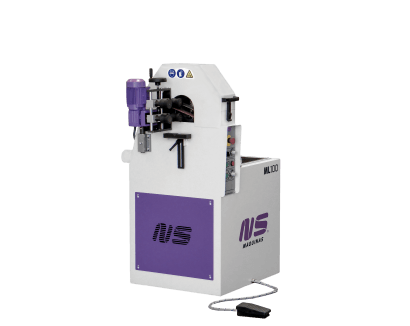 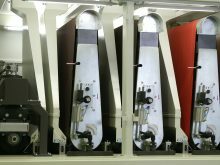 This helps the work of metal sheets without having to adjust roller tables. 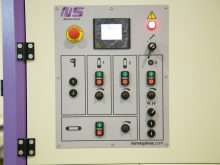 As an option NS can supply different types of controls. 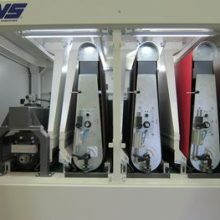 Parts automatic return or programs saving are some of the features which can be offered. 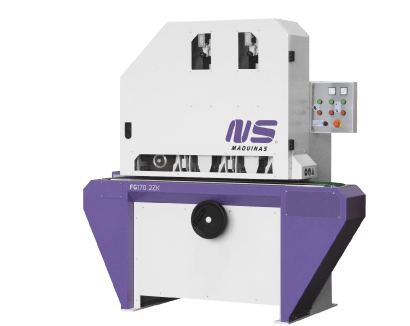 Easy control of all machine functions. 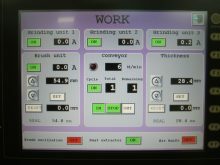 Touchscreen for monitoring measurements, operation and alarms. 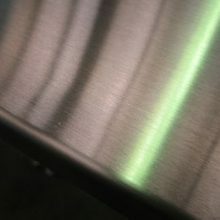 Tool-free abrasive belt replacement. 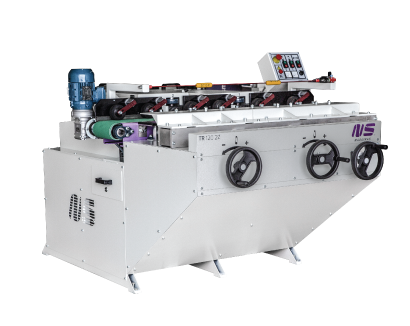 Fast and easy belt change in few seconds with pneumatic abrasive belt tensioning. 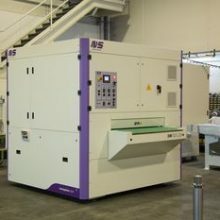 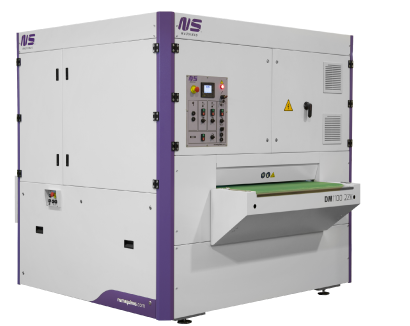 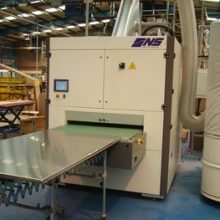 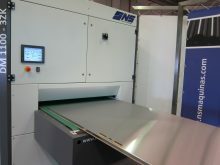 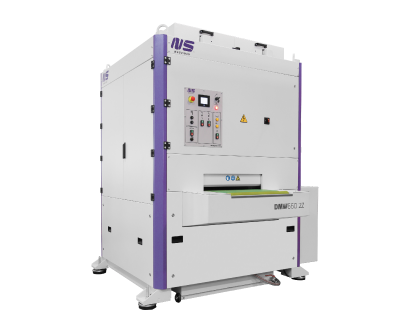 DM machines have their software developed internally by NS Máquinas. 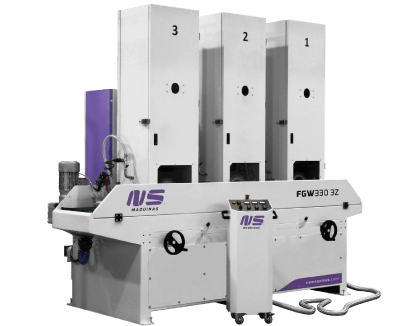 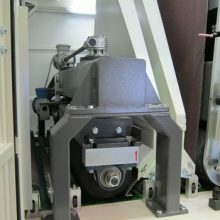 Our technicians provide complete training for our customers to achieve the best performances of the machines.